The best laptops for programming help inject zest and power into coding. Top programming laptops need the integrated capacity to hold up the weight of running up to 3 Virtual Machines if you are a veteran programmer. But developer laptops are inherently powerful multitasking beasts, workhorses that echo smooth transitions, demonstrate through crisp-clear displays, orchestrate punchy productivity sessions and stack up generous power plants—adding life-sustaining juice to the battery wherever the programmer chooses to work from. From our survey of the best coding laptops in the market right now, you’ll notice too, that expensive is not always best. Some affordable programming laptops have got much of all you’ll ever really need to code on the go. Here is a quick run through of our top picks. If you are motivated to make a renewed investment in your programming tools of the trade, here are the 10 best laptops for programming in 2018 (and beyond). When it comes to Apple, most people go for the brand, isn’t it? But if you’re a programmer, the MacBook Pro won’t just add bling to your life but increase productivity as well and here’s how. Powering up the MacBook Pro is an i7 Processor which in tandem with the AMD Radeon R9 M370X graphics card delivers exceptional processing speeds (just what any pro gaming coder needs). To further up the ante the graphics card comes with its own 2GB GDDR5 memory which helps take some load of the regular memory making multitasking easier and faster. And with the Intel Iris Pro graphics, it also allows you some exceptional game time with friends as well (because we all need that little PubG break, right?). 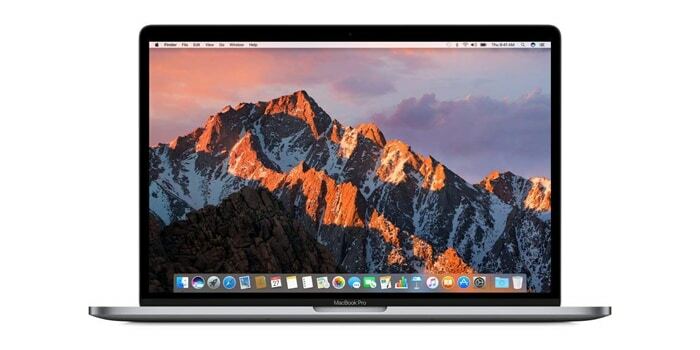 The MacBook also features a 16 GB of RAM PCIe-based SSD storage (512 GB). With this, you can access all your apps within seconds and there's plenty of storage for the heavy programmes and files. One of the biggest attractions of any Mac is its display and there’s no doubt the Pro excels here too. The 15-inch display is head and shoulders above regular sRGB screens giving you vividly real-life like pictures (so you never miss out on the minute details). Allowing you to transfer or backup your important data onto external devices at rapid speeds are the two Thunderbolt 2 ports that come with 20 Gbps of bandwidth. Lastly, the built-in mic and speakers (and really quality ones) mean client calls etc. are hassle-free and don’t need additional hardware. Well, to be honest, there isn’t much to fault about the MacBook Pro except that it is highly priced. But considering its top of the line features, I'd call it an investment, not an expense. 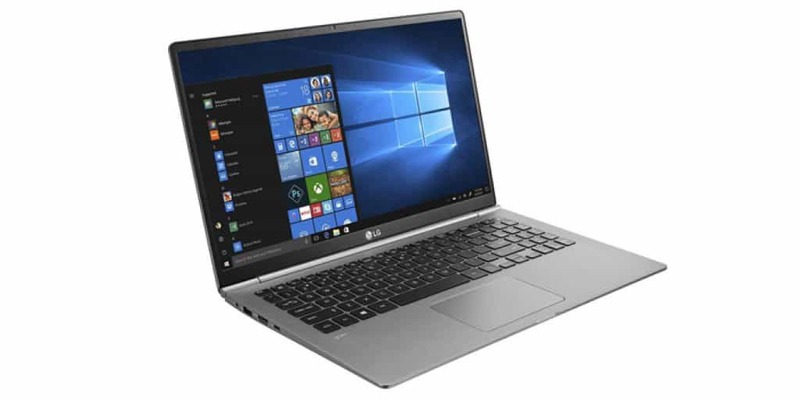 If you’re looking for a laptop to partner up with while on your business trips or even holidays, the LG Gram Thin and Light Laptop is just what the doctor ordered for. More about it below. The standout feature of this laptop and I am sure you would have guessed it, is its low weight (under 2.5 pounds) and slim build which means you can carry this laptop anywhere and not feel a thing. But that’s not all. The laptop comes with an Intel 8th Generation i5-8250U CPU so there's plenty of power in the bank for all kinds of coding work be it gaming or Apps. To help you continue working at fast speeds without hassle even when multi-tasking, the 8GB RAM and 256 GB SSD work pretty well together. Also, I’m sure you’d want all your files backed up into your external files quickly and that’s just what you get with the 3.0 USB ports. It is also great for charging your mobile. And in case you want a bigger and better display, you can have a full HD display by connecting your TV etc. using the HDMI port. Plus, you won’t be disturbed by low battery notification for a whopping 19 hours (yes, that’s how long the battery runs for). My only issue with the laptop is that I would have loved a little more disk space but that’s where external disks can come in handy. But if you’re always on the go and need a lightweight laptop at a slightly lower cost, this sleek laptop checks all the right boxes. Are you on a tight budget? 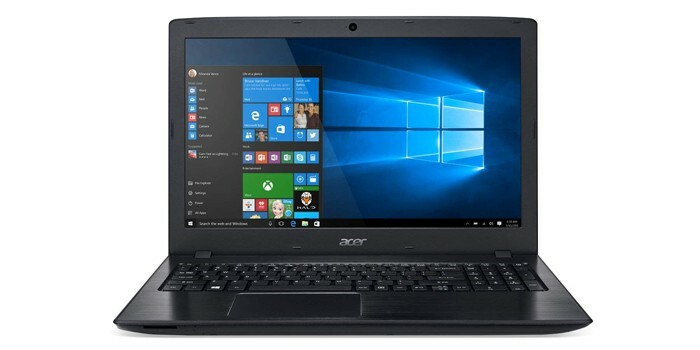 If yes, it hardly gets any cheaper than the Acer Aspire E15. While it may lack the fancy frills of the higher models, it’s got all the basics in place making it ideal for any students or beginner programmers. What I love most about the Aspire is its 13.5-hour battery life which means I won’t have to be running around looking for a charger and neither do you (a rare feature in cheaper laptops). But work just isn’t about the battery and Acer knows it. That’s why the laptop is powered up using an Intel Core i3-8130U Processor which can reach up to 3.4 GHz ensuring the heavy coding programmes run at optimum speeds. The 1TB HDD provides you not just ample storage but in tandem with the 6GB RAM, it also means you can be running multiple programmes at one go without the laptop hanging up. Lastly, data transfer to and fro external storages is sure to take no more than a few minutes due to the 3.0 USB ports which are also great to charge other devices. The laptops configurations are comparatively lower which means it’s only suited for students and beginner programmers. Plus, it comes with an HDD whereas an SSD would have been faster. But considering its long battery life, good build, and low cost, those few trade-offs are absolutely worth it for anyone on a shoestring budget. 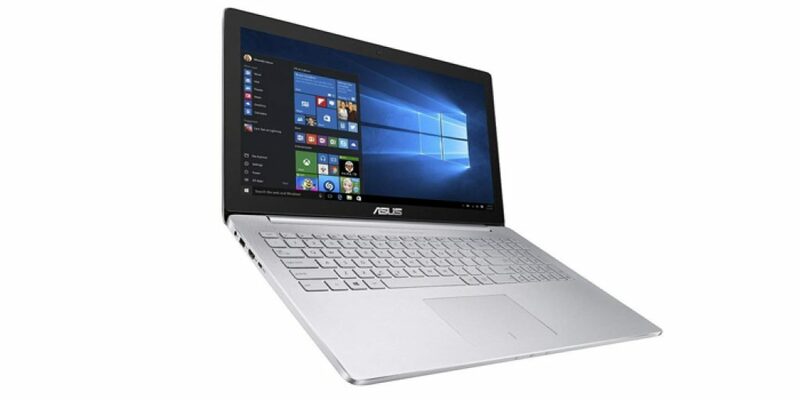 ASUS has slowly and steadily grown into one of the biggest laptop brands in the market today and their Vivobook shows just why so many programmers and even gamers tend to love it. Speed is a priority when paying just about $1000 for a laptop and that’s been the main focus of the Vivobook as well. For that purpose, it’s powered up with an 8th Generation Intel Core i7-8550U which can turbo up to 4.0 GHz and a 16 GB RAM. This also enables you to multi-task and get the job done in quick time. Furthermore, it’s 17-inch display is a real blessing and gives you unmatched display but if that wasn’t enough, it also supports 4K external display (working or gaming, it hardly gets any better). If you're into coding for games or apps development, you'll appreciate the NVIDIA Gaming GeForce GTX which increase system performance and improves display as well. Whether you’re looking to charge your mobile or want to transfer important files to an external disk, with the 3.0 USB ports, all can be done in seconds. And lastly, the thing I love most about it is the storage provided. If the 256 GB SSD wasn’t enough, you also get a 1 TB HDD (speed plus space, that’s a winning combo). 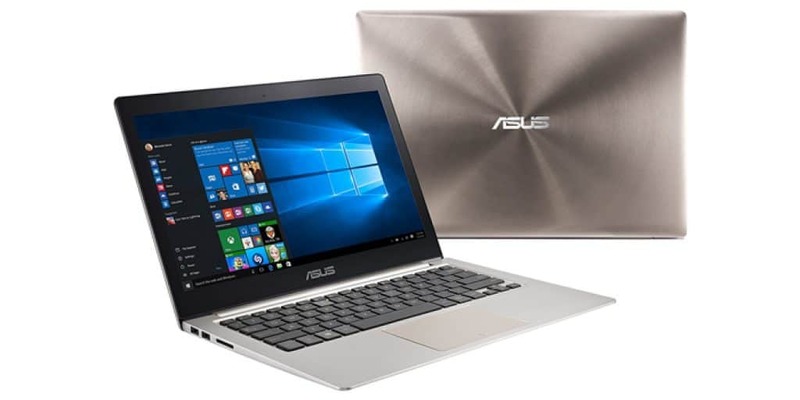 Again, the Asus Vivobook is on the expensive side too but any serious programmer knows the importance of a fast laptop so I’d say it’s worth it. There have also been complaints of the internet connection being weak which can be tackled using a LAN or by placing the modem close to your working space. The Microsoft Surface Book 2 is one of its kind and sits at #5 only because of its high price. But if you have an eye for the fancy, you’ll absolutely love this and here’s why. Quite a lot stands out about the Surface Book 2 but for most people including me, it has to be the multiple modes i.e. the Laptop, studio, tablet and view modes. The PixelSense Display (which by the way, is exceptional) can be detached which turns into an easy to carry tablet. The keyboard can also be folded or turned into a stand for easy reading and video playback so you can learn on the go as well. But a laptop's got to be powerful and fast too and the Surface Book didn’t let me down. I couldn’t ask for more from the 8th generation Intel Quad Core i7 and 16 GB RAM. Add to that the 6GB RAM of the graphics card and the Surface Book can deliver 4x more power and speed than most other laptops. 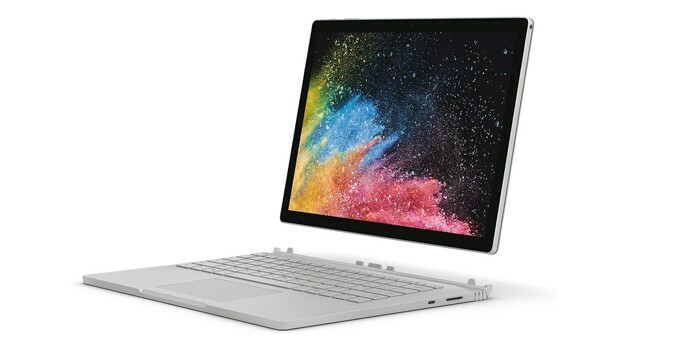 And top it off, there’s also the fast and spacious 512 GB SSD which pretty much means, the Surface Book has really got it all. To keep the laptop up and running even with all the power, it has been given a long-lasting and durable battery that can run up to 17 hours. If I didn’t have to pay about $2500, this would have been my clear favorite. But if you prefer style and comfort along with high-end features, then its money well spent. In the recent days, Lenovo has been unleashing quality devices to the world. Programmers have not been left out too. The manufacturer has brought out the Lenovo ThinkPad Edge to give you everything you need to deliver your work from wherever you are. The machine is capable of giving quality results and running cool. Large programs can execute without burning out the fans. You can be sure to sit out and work on a program and still be comfortable with the strength of the laptop. Its keyboard is easy to type on, and the screen is broad and sizeable enough for quality use. Its sleek look makes it very appealing in the market. This laptop has all the qualities for a modern programmer will need. Also, the 15.6-inch HD display of the Edge E550 comes with anti-glare properties that make it easier on the eyes of coders who engage in programming for extended periods. What’s more is that you can easily upgrade the pre-installed Windows 7 Professional OS to Windows 8.1 Pro. The Thinkpad is also eligible for a free-of-charge Windows 10 Pro (64-bit) upgrade. Doing so can ensure your software won’t become redundant anytime too soon, delivering value for money. One of the major drawbacks for is the smaller 4GB RAM which limits the multi-tasking capabilities of the laptop. Also, there’s a 500GB HDD. While that’s plenty of storage, HDD’s do limit speed. But all in all the ThinkPad makes for an excellent mid-range product and will cost you less than $1000. The HDD disk will slow down the system speed during heavy usage. The ASUS Zenbook is another one of our feature-rich products that offer a wide array of features for experienced programmers. Here’s more about it. The best feature of the Zenbook has to be its 16GB of RAM and the Intel Core i7 processor that give you just the perfect developing environment. And supporting that well is one of the best and latest SSD technologies on the list i.e. the 512 GB NVMe SSD. It not only optimizes the laptop for speed but also is large enough for all your files and software. Further, making your job as a programmer easier is 15.6” screen but if you like it bigger and better, it also supports 4K Ultra HD display via its HDMI Port. The Nvidia graphic card comes with a 2GB RAM which further adds to the speed by freeing up some of the internal RAM enabling multitasking. Transferring or backing up your data can be done at speeds of up to 10 GBPS with the two 3.0 USB ports and trust me, that’s really FAST. Lastly, you don’t have to be completely reliant on your mouse and keyboard to operate the laptop as it is also a touchscreen model. One of my concerns is with its touchscreen as repair is costly and most often these fail within the first year. And considering you'd be paying $2000 for the purchase, I'd leave the buying decision to personal choice and comfort. What if I told you, that you don’t always need a table or desk to operate your laptop from? Yes, that’s true. With the Dell Inspiron, you can work while holding the laptop in your hands itself or set it on any table and get some quick work done. But don’t fall for its compact size. There’s more to the Inspiron that meets the eye. For a small laptop, the 13-inch full HD screen performs quite well and provides you with a great display (way better than those tabs people usually prefer). But in case you want a bigger display for some serious coding, you can always switch to an external output using the HDMI port. But here’s where it packs a real punch. It features an Intel Core i7-8550U Quad-Core processor and an 8GB RAM to take any load you plan on putting on it without giving away. And to aid that, it also has an excellent Intel UHD 620 Graphics card and a 256 GB SSD making it the ideal combination for space plus speed. Since its compactly designed, it can be carried anywhere as it easily fits into any backpack. It also has a one 3.1 USB port for quick charging while 2.0 USB is ideal for printers and wireless keyboard, mouse etc. But if you don't want to use a mouse and keyboard, it can also be operated using the touchscreen. Battery life of Inspiron is lesser when compared to the bigger models and thus will need to be charged before every travel. Secondly, users have also reported of the touchpad not being sensitive enough. Without going too much in-depth, here is a small brief about the Zenbook UX303UB about what I liked and didn’t. 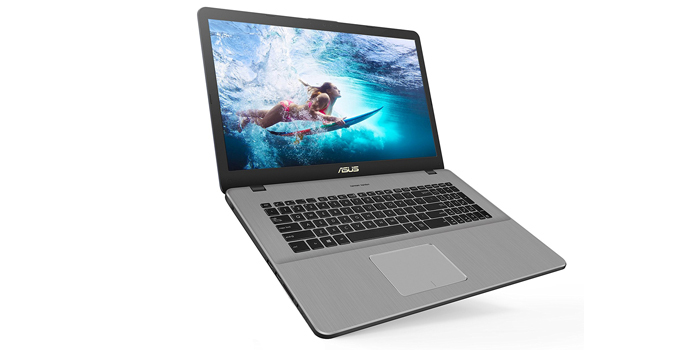 The 12GB RAM, Intel Core i7-6500U processor, and 512 GB SSD storage are the main attraction of the ZenBook UX303UB. These together make a programmer’s life easier by allowing you to multi-task without the system slowing down or hanging. And since it’s touchscreen, accessing the laptop is easy. You can also have all your data transferred quickly or even charge your phone with the 3.0 USB ports. Lastly, the Instant On mode lets you get back to work within a matter of seconds and the display is clear and clean which is well supported by the NVIDIA GT 940M graphics. But here’s where the good things end. On the downsides, the touchscreen quality is poor and complaints of it failing in the first year are common. The battery backup of this Zenbook is only 7 hours which I feel is slightly low. There have also been multiple issues of the hinge falling apart. 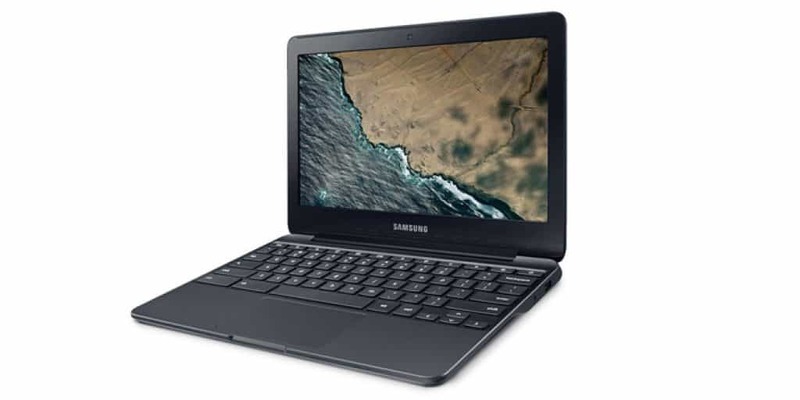 If you’re heading to college and need something easy to carry and really cheap (less than $200), a Chromebook is the ideal choice and here’s why I recommend the Samsung Chromebook. Making it suitable for the most basic of programming is its 2.16 GHz Intel Celeron N3060 1.6 to 2.48 GHz processor and the 4GB RAM. The 16 GB internal storage is good enough for small files and light programmes. Its display is obviously its best feature and the 11 hours of battery life is quite good. The one 3.0 USB port makes transferring data quick plus, it always acts as a handy charger for mobile etc. To end with, it has a lightweight build and thus easy to carry. But for students, beginning their journey into the coding world, for less than $200, it’s a decent buy but you’ll soon need to upgrade. Has low durability. Lasts only for 4-5 years. As a programmer, the specs of your laptop are very critical. To be fair, even the best laptop might lack some of these specs. It is simply a rare combination to find. Size: Different developers require different environments to do their job. While this is a job known best for is solitary approach, programming too can be done from the outside, and anywhere in the room – just like writing. The size of the laptop is then a key attribute that you should look out for. This implies the need to carefully look into the size to ensure that you get a large machine, enough to allow you work without struggling and again without compromising on its mobility. Price: Everything has to boil down to cost. You need to be cautious with this element. With tons of options in the market, the tradeoff between the cost and the features should be reasonable. Look at the budget against the features you intend to achieve. 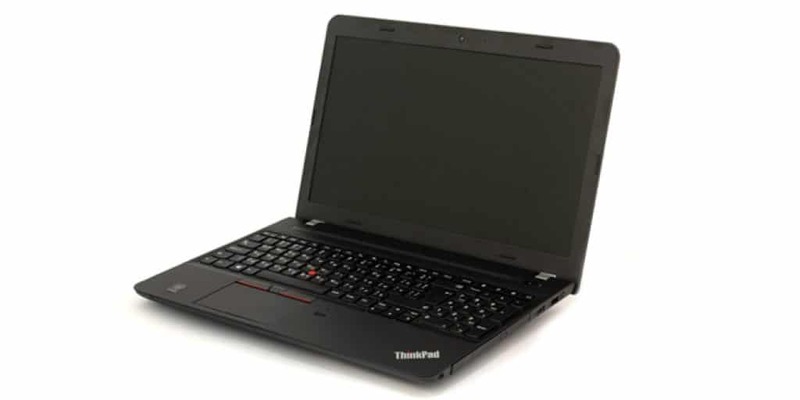 Easy to run the tasks: The best laptop for programming is one that is best suited for the ob. This means every programmer must know the demands of the task and match them with the right features. Developers have varying preferences based on the kind of development they intend to do. Programming scope: This is a huge phenomenon. Many people consider this to be a line of a career that has its special needs. Your laptop should always match the scope of programming. From mobile to the web, the needs may vary. As a developer, your programming scope should be the benchmark of the features you are looking for in a laptop. When picking your programming laptop, there are a number of features you should look out for. 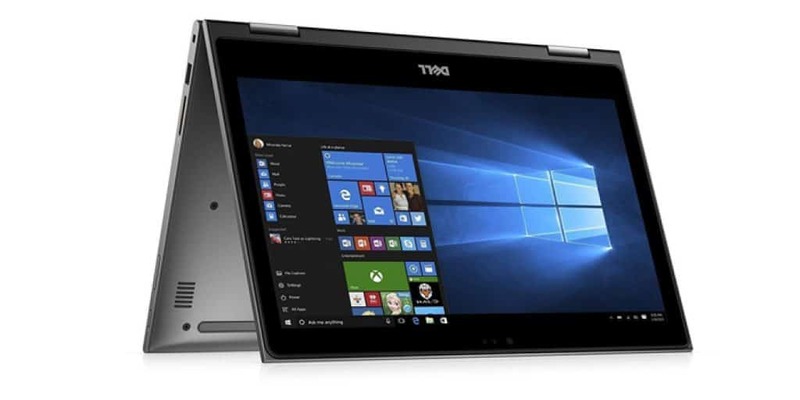 These are the main aspects that differentiate these programming laptops from the rest in the market such as laptops for video editing or those for graphic design. These features should be considered at their least to ensure that your development work is not hampered. To get a laptop with all the best features is utterly impossible. It is thus important that you carefully choose your machine for programming work. Preferably at least 8GB of system memory: For most programming tasks, the need for sufficient RAM is very important. It allows for the smooth running of the programs behind the scenes without lag. In most programming tasks, the need for RAM is intense. One is expected to work with a high system memory of at least 8GB for better results. Powerful CPU: The processing capacity of your laptop is integral to the quality of experience you have while programming. Look out for a fast machine that can deliver good speeds. The processor should be in the range of Intel i5 or AMD A10 on the lower side. Quality Graphics: Having a dedicated graphics card of about 2GB memory is very useful for your programming needs. This ensures that you have the best time while working with your machine as the resolution and clarity are not compromised at all.